This study clearly demonstrates the benefits, timeliness and relevance of data preparation for analytics. It shows how and by whom data preparation is being driven and how the balancing act between governance and flexibility can be achieved by specifying the requirements for data preparation governance. 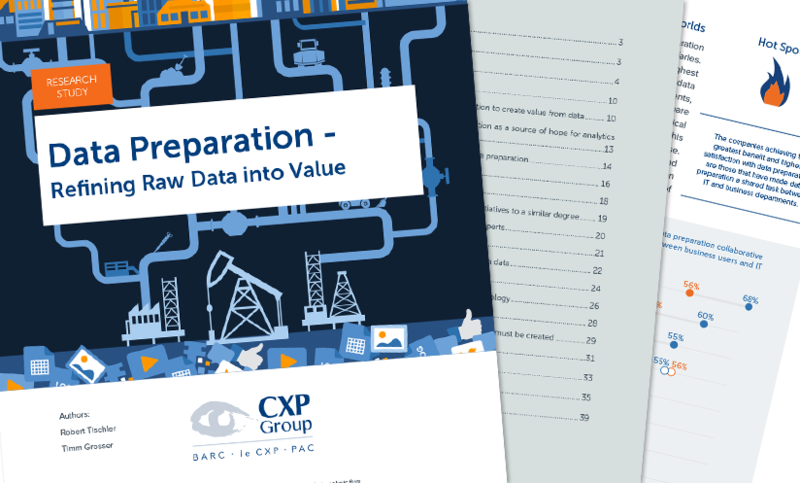 In this BARC study, we also show how data preparation is used today, which challenges need to be overcome, and in which organizational framework this takes place.